WE BELIEVE THAT THERE’S NO BETTER WAY TO LEARN HOW TO FARM THAN TO START FARMING. We partner with with Multinational Exchange for Sustainable Ariculture (MESA) and Communicating for Agriculture Education Programs (CAEP) to host international students wanting to learn more about sustainable farming and organic growing practices. By working with these organizations, we have welcomed students from Ecuador, Brazil, Peru, and Vietnam to our field crew for paid, on-farm training apprenticeships. Our international crew members bring their experiences from Clark Farm back to their home communities - many establish farm operations of their own, or add new knowledge of organics to existing crop production. 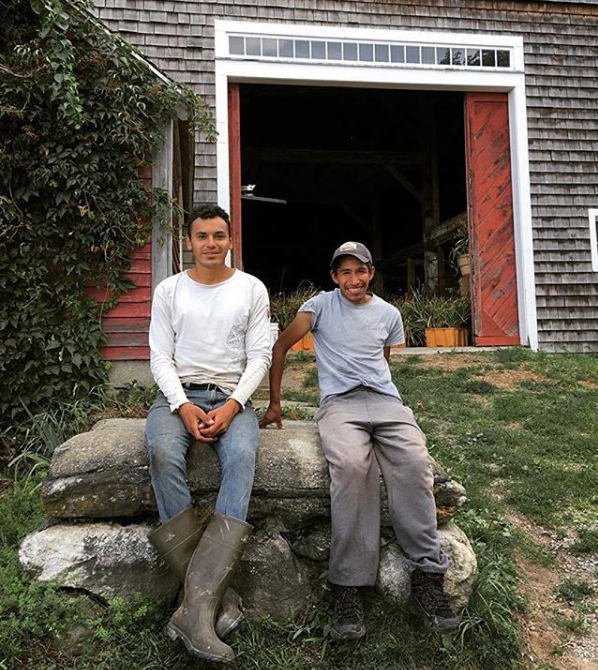 In return, our international apprentices bring unique perspectives and rich diversity to the Clark Farm Team. We also welcome beginning farmers from the local region to our field crew each year. To apply for field crew positions, check out our Employment page and reach out to Andrew.